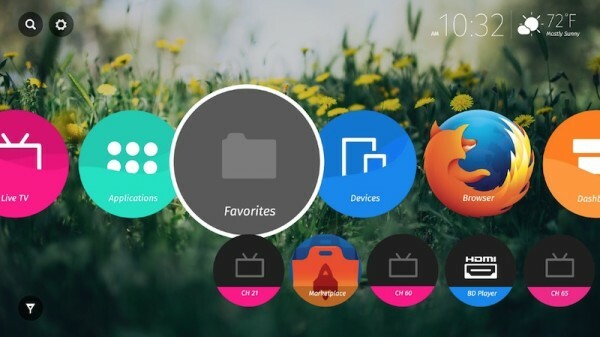 The user experience of Firefox OS on the television platform comes from Mozilla’s vision of the Connected Home. This departure from our smart phone interface focuses on ease of access, simplicity but most of all scalability across a variety of sized displays. A television can be used to display content from various input sources (HDMI, DLNA, cable, SAMBA, etc) however each user’s input source priority is different. A user wants to spend time on the content, not within the UI, so quick global navigation trumps complexity or added functions. 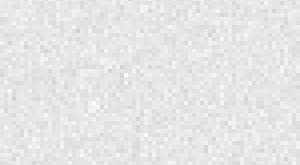 The importance of applications on smart televisions is growing rapidly, so its vital to frame the UI hierarchy giving equal (or balanced) weight to television channels, apps and input devices. Many of the basic functions are actually aggregators of numerous sub-items, as in the case of the Live TV card there could be more than 200 channels. To differentiate from regular cards, we called these special aggregator cards: decks. A user can easily pick a sub-item card and pin it outside of a deck, this card can then be easily and quickly accessed. In the diagrams below we see a user pinning various cards outside of their decks to the HOME page. This could be any card from a TV channel to an input source, as soon as they are pinned to the HOME page they will inherit the same interaction hierarchy as the decks they were pinned from. 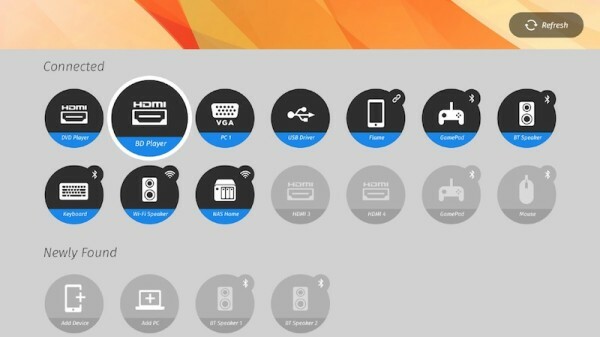 The main page of the television UI is called, HOME. The user can easily access it by pressing the HOME button on their remote control. A user customized version of HOME, we have also added a foldering method to better organize pinned cards. When a user downloads or installs an application it will appear in the APPS deck initially, the user can then choose to pin it to the HOME page if desired. The DEVICES deck functions in the same way where any new device will remain within this deck until the user explicitly pins it to the HOME page. 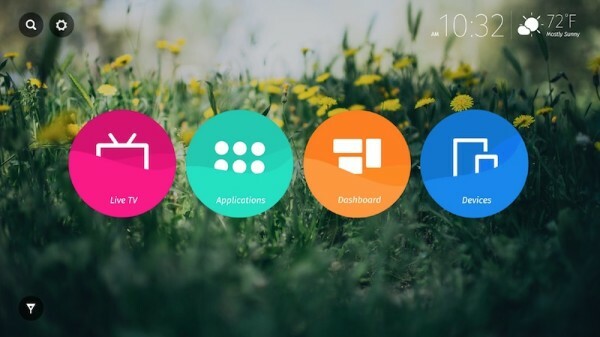 For more information and guides about Firefox OS TV, please refer to the session TVs and connected devices and find links for relevant articles below. 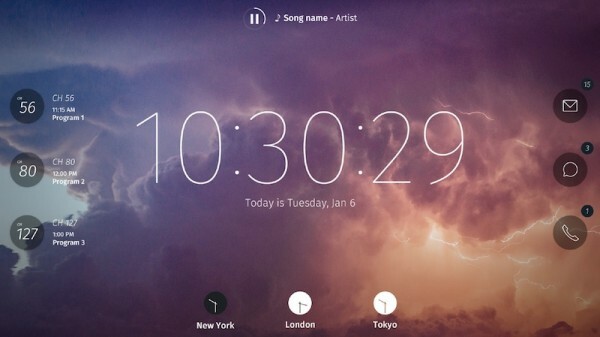 Hope you enjoyed this post about how we designed Firefox OS TV. 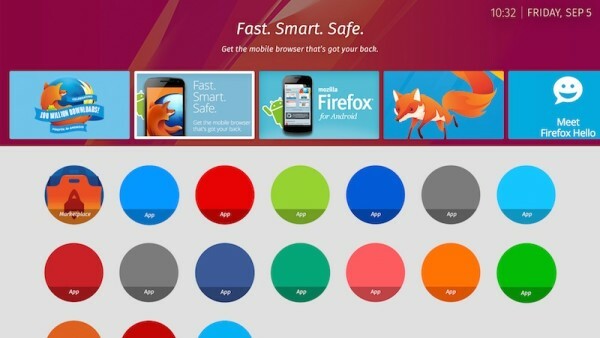 If you have any feedback or ideas to help Firefox OS Design Team improve ourselves, please leave a comment. Will it run on my Raspberry Pi rev 2? Can it play HTSP streams from my open source satellite decoder? Looks great ! Please ping me if you need help working on the access to SMB1/CIFS/SMB2/SMB3 shares from Firefox OS TV. I’m very happy to help !